Alec Fairley was born December 23, 1920, to Willis Augusta Fairley and Lela G. Hanshaw Fairley in Vancleave, MS. He was the third of five children born to the Fairleys. As he recalled, he was “a real handful” as a kid—strong-willed, self-confident, and unafraid to step out into the unknown future. As a young man, he began to be aware of the spiritual side of himself and was baptized into the membership of New Light Missionary Baptist Church under the leadership of Reverend Albert Deflanders. 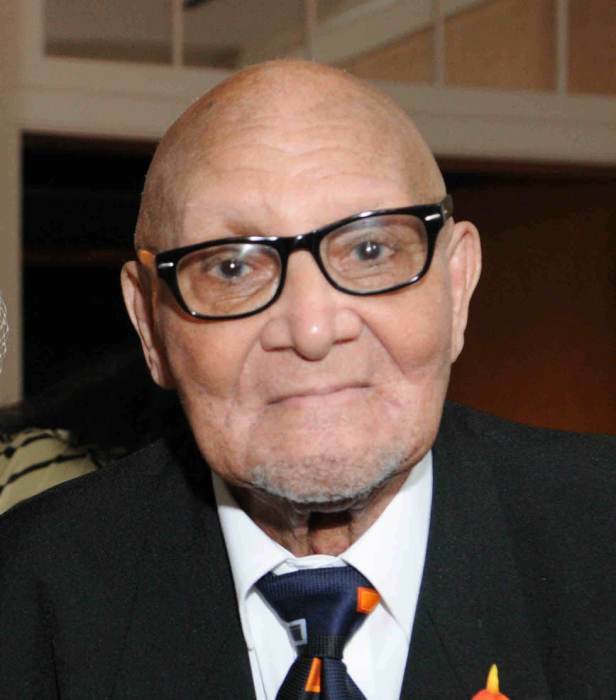 He was a member of a youth quartet, and in later years, he would become a Sunday school teacher, and eventually, superintendent of Sunday school at New Light Missionary Baptist Church. Many years later, he joined in fellowship with Green Pastures Christian Ministry in Moss Point, MS, under the leadership of Bishop Houston Cunningham, where he served as an armourbearer. At the time of his death, he fellowshipped and gave faithfully in tithes and offerings to New Covenant Community Ministries, International, Moss Point, MS, under the pastorate of Brother Jerry Thompson. His education was cut short when his mother fell deathly ill with scarlet fever. To help provide for the family, he quit school in the fi fth grade and began working at odd jobs for various individuals around Vancleave, as well as helping his dad on the farm. He became a personal driver for C.L. Dees, and eventually, ran a 5-man logging crew as a teenager. In 1941, he was one of hundreds hired to begin construction of what we now know as Keesler AFB. Later, he was drafted into the army, where he was trained as a mechanic and earned a diploma (the equivalent of today’s GED). He also obtained the rank of Private First Class, serving until he was honorably discharged. Near the end of World War II, he hired on at Ingalls Shipbuilding as a laborer and worked until he retired. Alec was a man of service, not only in the military, but also in the community. His intellect and acute awareness of the importance of civic engagement, particularly for African Americans, motivated him to serve others by supporting them in such efforts as educational achievement and exercising the right to vote. He also assisted community members with transportation to church services. In January 1952, he married Cleo Showers (affectionately known as “Chess”) and together, they had nine children. 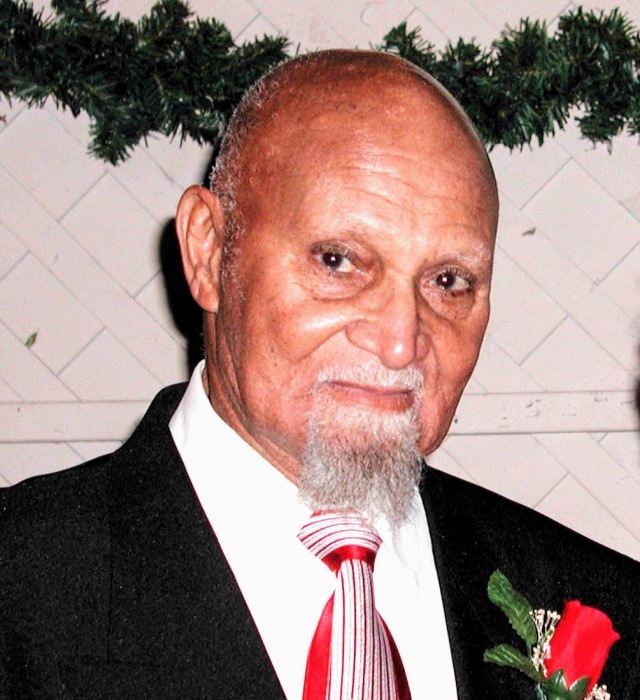 Alec leaves: his wife of 67 years, Cleo Showers Fairley; children, Muzeel (Denise) Fairley, Roswell, GA, Gilbert (Vickie) Fairley, Duluth, GA, Billard (Cindy) Fairley, Copperas Cove, TX, Cathenual (Lincoln) Keeton, Moss Point, MS, Marzetta (Curtis) Alexander, Dallas, TX, Larvilous (James) McLean, Sherwood, AR, Otilia (Reginald) King, Sr. Duluth, GA, and Darcel (Melissa) Fairley, D’Iberville, MS; twenty-three grandchildren, Shaundale Fairley, Herndon, VA, Angel and Angela Fairley, Alpharetta, GA, Jemila Fairley, Las Vegas, NV, Kedra Fairley, Cincinnati, OH, Levert and Tiff any Fairley, Copperas Cove, TX, Tamiki Fairley, LaTosha Fairley and Willard Fairley, Jr., Gulfport, MS, Cheloyn Keeton-Todd, D’Iberville, MS, Jhai’Obes Keeton, Moss Point, MS, Sarah Alexander, Philadelphia, PA, James McLean, III and Christa McLean, Sherwood, AR, Michael Alford, II, Dover, DE, Vincent Alford, Farmington, AR, Paris Robinson, Biloxi, MS, Russel Fairley, Billings, MT, Audree and Avaree Fairley, D’Iberville, MS; sixteen great-grandchildren; special friends in Christ, Reverend Harvey and Sister Betchel Collins, Vancleave, MS; devoted full-time caregiver, Cathenual and Lincoln Keeton; nieces that served unselfi shly, Ethel Whittle Weathersby, Francis Fairley Grady, Betty Fairley Meeks and Vivian Warren, all of Vancleave, MS; and many other beloved nieces, nephews and friends. Those preceding him in death are: parents, Willis and Lela Fairley; siblings, Francis Jackson, Benard Fairley, Bervenia Whittle and Loretta Warren, all of Vancleave, MS; son, Willard Fairley, Sr., Biloxi, MS; and grandchildren, Marquette Darnell and LaTeaf Billard Fairley, both of Copperas Cove, TX.